Although Steam rules the roost when it comes to the sale of digital PC games online, there are some worthy alternatives like EA’s Origin. This provides a good selection of games for players to buy and play online, and also boasts a subscription-based service which allows users to play a selection of games from a library (known as the vault), as well as try out more recent games like Battlefield 1 and FIFA 17. EA also offers a similar service on Xbox One known as EA Access, offering quite a few full games to play plus trial editions of more recent releases as well. And fans of sports video games will be happy to know that FIFA 17 will soon be fully available to EA Access and Origin members, on April 21 this year to be exact. 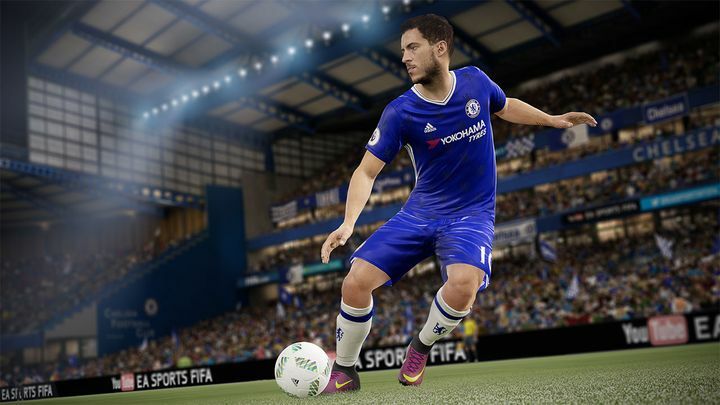 FIFA 17 is the latest instalment of the long-running European football series and was well-received when it launched last September, boasting a Metacritic score of 84 for the Xbox One version. Regarding the new game’s features, perhaps the greatest addition is the new “The Journey” mode, in which players control fictional character Alex Hunter in an attempt to achieve footie fame and fortune in the competitive English Premier League. FIFA 17 is also the best-looking game in the series, thanks to the fact that it uses the latest iteration of the Frostbite engine (which was also used in DICE’s Battlefield 1). This delivers more life-like visuals, allowing players to become more immersed in the action. Plus as is usual, the game also features a huge roster of players from all over the world, including top-rated stars like Cristiano Ronaldo and Neymar. Of course, FIFA 17 has been criticized for failing to innovate gameplay-wise as it largely plays the same as earlier entries, but you can’t blame EA for not messing around with a winning formula, can you? Nonetheless, FIFA aficionados who are yet to try this latest instalment and who are also EA Access or Origin members will soon enough be able to find out whether FIFA 17 truly lives up to the hype, as the game will become available to play on these services on April 21 this month.